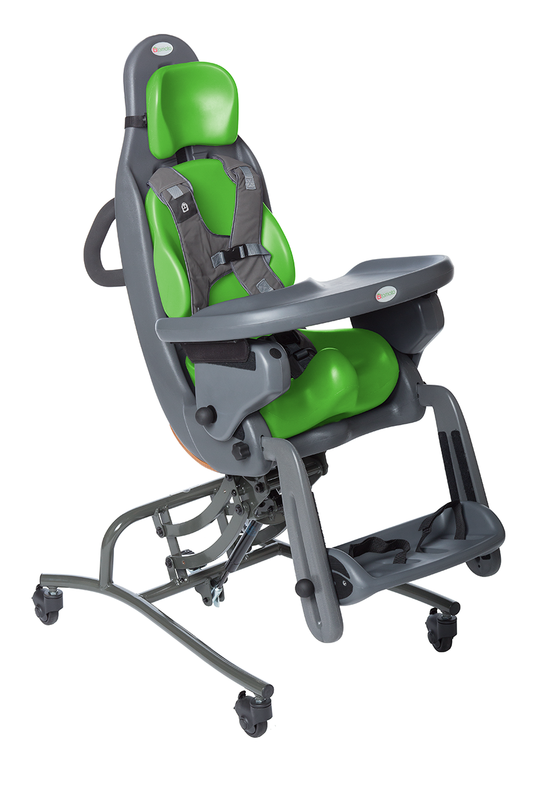 Introducing the NEW Special Tomato Small Hi-Low Multi-Positioning Seat (MPS) Seating System! The latest version of the Small MPS Seating System provides height adjustable seating with built-in growth! And for the first time, we are offering the chance to truly customize your Cushion Options right from the start! There are multiple Seat Cushions, Back Cushions & Headrests to choose from! The Special Tomato Small Hi-Low MPS Seating System uses the same cushions uniquely designed with contours, now in more sizes. The Special Tomato cushion technology is made from a latex free material that is peel and tear resistant. It is also impermeable to fluids, which makes keeping it clean simple and easy! The Special Tomato cushion technology is formulated to be cool to the touch, providing a non-sticky surface for your child. 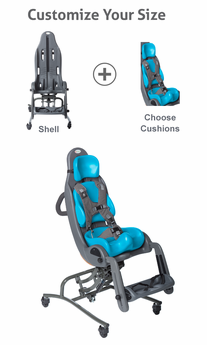 The interior foam of each cushion is designed to conform to your child�s body and support them for hours of comfortable sitting. 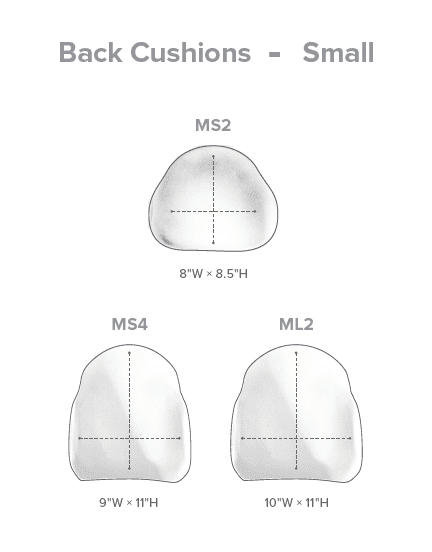 The Special Tomato Small Hi-Low MPS Seating System includes the Hip-Flex� feature found on all MPS models that allows a 30 degree range of pelvic tilt. 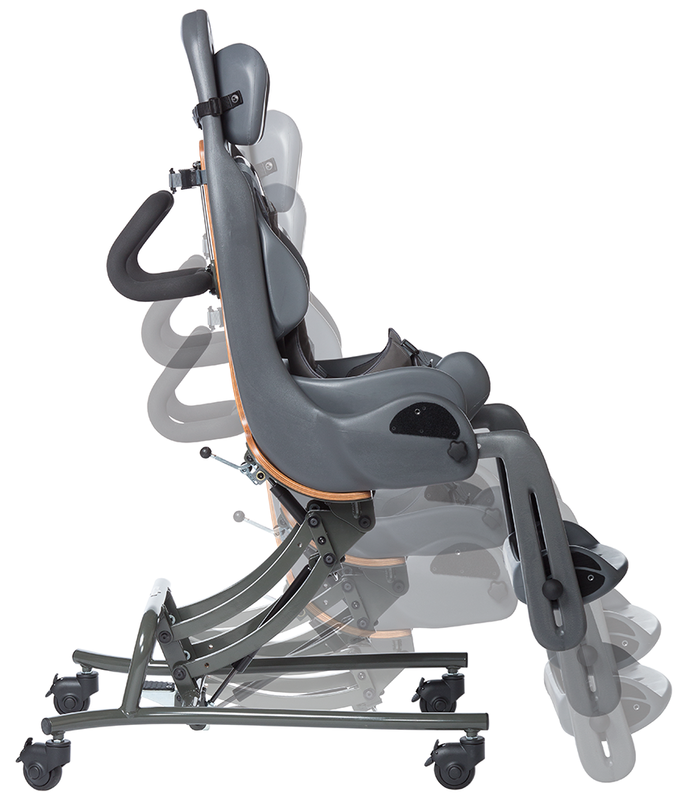 This unique positioning feature allows for upright sitting to become more functional and comfortable. 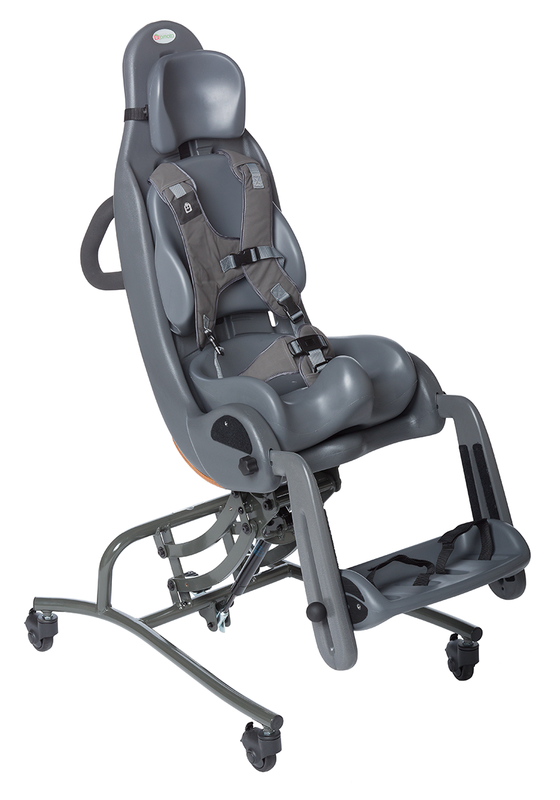 The forward tilt and height adjustability of the Special Tomato Small Hi-Low MPS allows a caregiver to position the user so that they are forward weight bearing, either on the footrest or on the floor. This position helps the user develop muscles within their legs while promoting bone growth and blood circulation. With the same type of positioning with feet on the floor, a caregiver can also work on sit to stand transfers with the user. 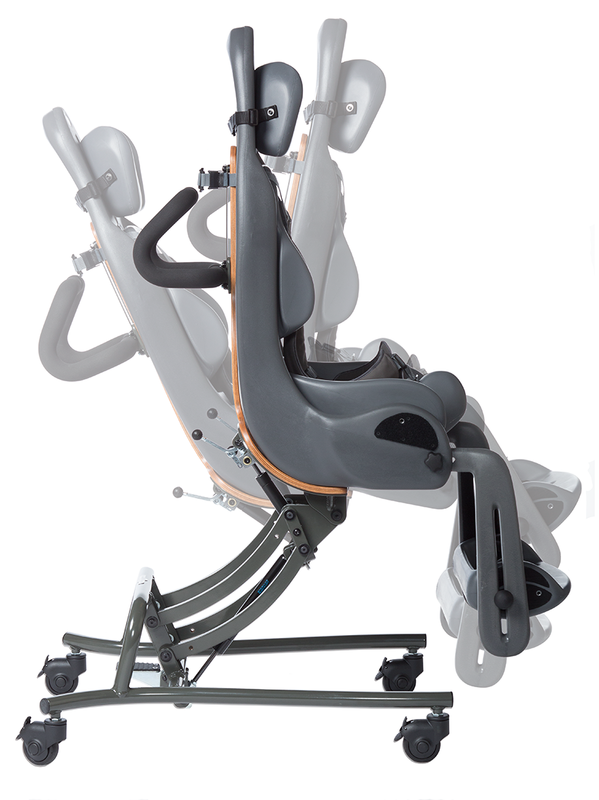 By giving a forward tilt and elevating the user so that their legs are positioned half-way to a vertical position, the user can achieve success with a sit to stand transfer quicker. As the user becomes proficient, the caregiver can lower the starting point to increase the challenge. Floor to Seat Height 14" - 28.5" 17" - 28.5"
Target User Height 28" - 37" 32" - 52" 35" - 58"
Top of Back Cushion 11" - 16" 15" - 20" 15" - 20"
Top of Head Cushion 18" - 23" 21" - 26" 24" - 22"
User Height 28" - 37" 32" - 43" 40" - 50" 43" - 52"
Seat Width 7" 9" 10" 10"
Seat Depth 6" 8" 10" 12"
Footrest 6" - 16" 6" - 16" 6" - 16" 6" - 16"
Back Cushion 11"- 16" 15"- 20" 15"- 20" 15"- 20"
Head Cushion 18"- 23" 21"- 26" 21"- 26" 21"- 26"
Seat Height 15" 15" 15" 15"
The Special Tomato� Multi-Positioning Seat Small Tray is depth adjustable and has 60 degrees of tilt. 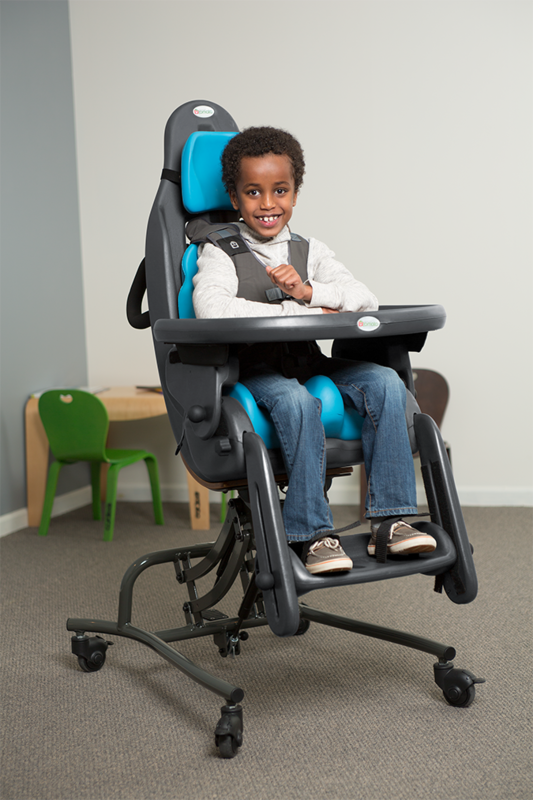 These features provide the best tray position for a variety of activities including eating, arts & crafts, and story-time. 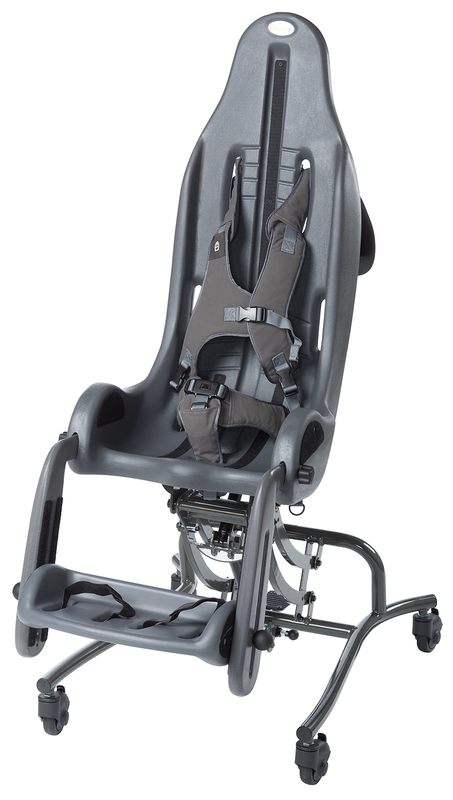 NOTE: Tray can be used with the MPS Seat Only, MPS Mobile Floor Kit & MPS Push Chair Kit configurations! NOTE: The tray may not be used during transportation in a vehicle. 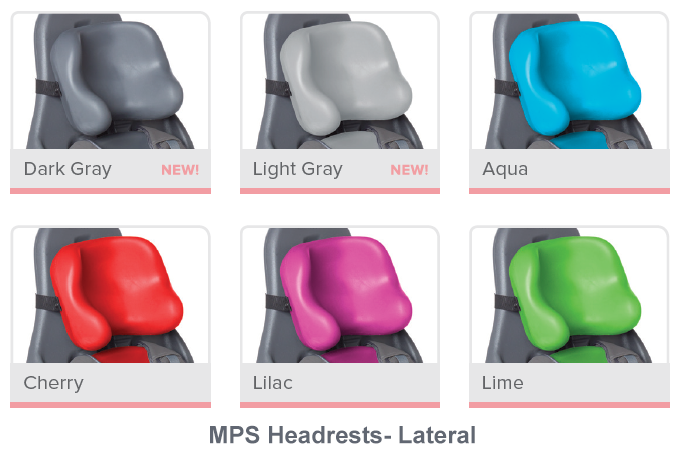 A Special Tomato MPS Headrest must be chosen with your MPS Seating System. 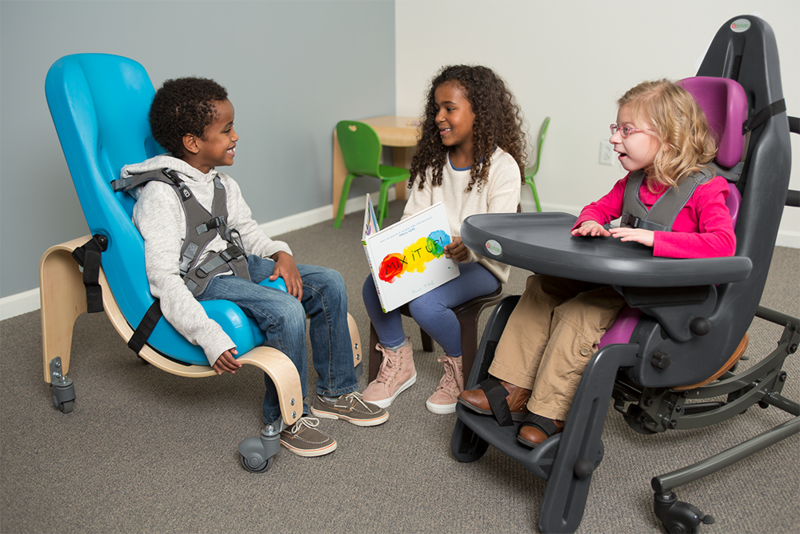 You may purchase a replacement cushion here if there are multiple children using the seating system that have varying head support needs. 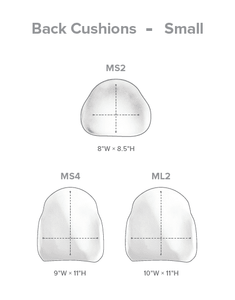 There are two options: Regular and Lateral and a variety of colors to choose from. 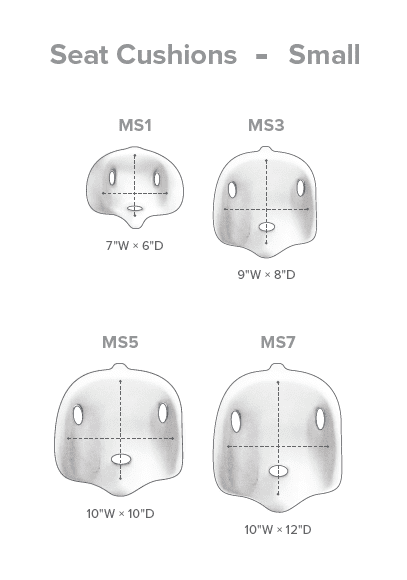 If your child needs more lateral support, the Lateral Headrest is a great option! 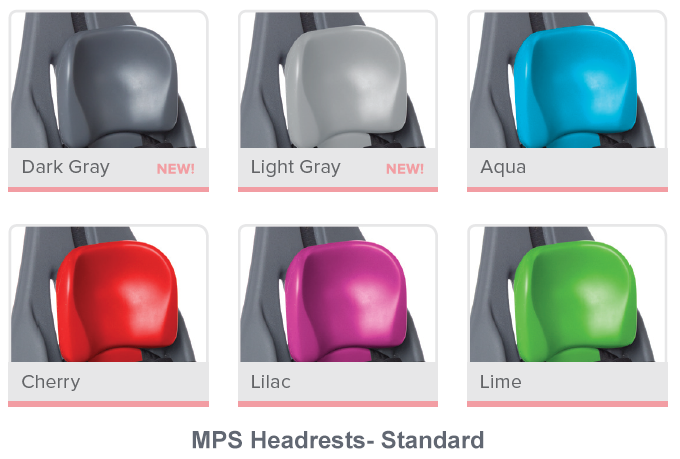 A Special Tomato MPS Back Cushion must be chosen with your Small MPS Seating System. 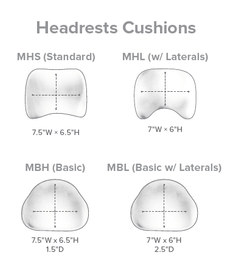 You may purchase a replacement cushion here when your child has outgrown their current cushion size. There are two size options available in a variety of colors! A Special Tomato MPS Seat Cushion must be chosen with your Small MPS Seating System. 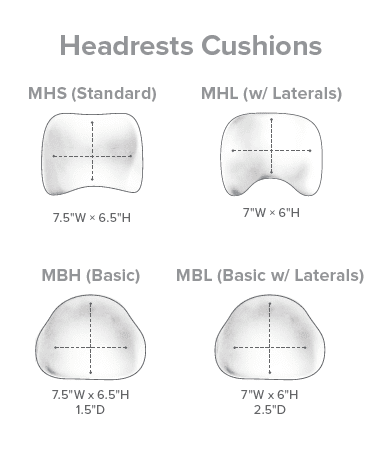 You may purchase a replacement cushion here when your child has outgrown their current cushion size. There are four size options available in a variety of colors!